A Special ESRB Twitter Event! Join @TheOnlineMom @ESRBRatings and special guest @PatriciaEVance TODAY at 8 pm ET (5 pm PT) as we celebrate 20 years of fun and the digital family! 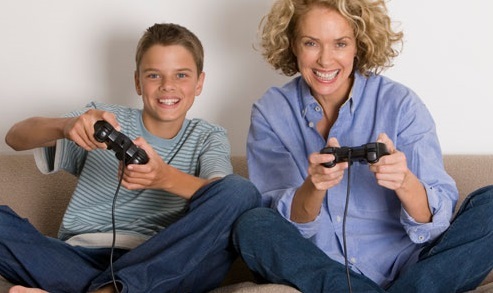 For 20 years, ESRB has been helping educate parents about the content of video games. Join us as we celebrate this milestone and explore how video games are continuing to bring families together! RSVP and attend the party for a chance to win one of four $25 GameStop Gift Cards or a Nintendo Wii U console! Follow @TheOnlineMom and @ESRBRatings and tell your Twitter followers!